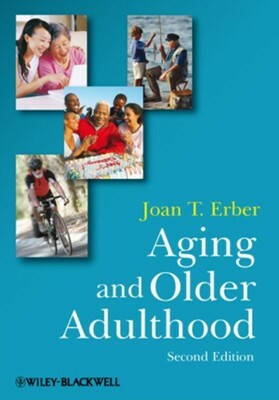 Updated and substantially revised, the second edition of Aging and Older Adulthood reflects the most current scientific research and theoretical foundations that contribute to our understanding of aging and older adulthood. Joan T. Erber received her Ph.D. in Psychology from Saint Louis University, after which she completed a Post-Doctoral Fellowship in Aging and Development at Washington University in St. Louis. She is presently Professor of Psychology at Florida International University, and has extensive experience teaching undergraduate and graduate courses in adult development and aging and conducting research on processes of aging. Her numerous publications focus on aging and memory and how stereotypes of aging influence our perceptions and evaluations of older adults. Her research findings, some of which were funded by grants from the National Institute on Aging, are published in scientific journals such as Psychology and Aging, Journal of Gerontology: Psychological Sciences, and Experimental Aging Research. She has served on editorial boards of journals that publish research on aging. Additionally, Erber is a Fellow of the Gerontological Society of America (GSA), the Association for Psychological Science (APS), and the American Psychological Association (APA). She is a past president of the APA Division 20 (Adult Development and Aging). I'm the author/artist and I want to review Aging and Older Adulthood - eBook.